NEW: Parking Guidance System (PGS) Dupline® Series: Multi-Color LED Space Indicators. NEW: EM21 Series: Three-in-One Energy Monitoring Device. 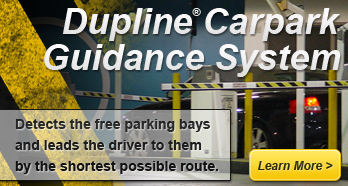 NEW: Parking Guidance and Space Availablity System utilizing the robust Dupline System. NEW: Wireless battery powered photoelectric sensor for door and gate applications. Learn more about Carlo Gavazzi's wide line of automation solutions. Click on a market and discover the wide range of products Carlo Gavazzi offers for the industrial automation industry. CARLO Gavazzi Automation Components specializes in the design, manufacture, and marketing of electronic components. These products are typically used for industrial automation applications found in the packaging, food and beverage, plastics, car wash, materials handling, elevator, and semiconductor industries.